Is it still called typecasting if it's entirely based on the actor's looks? For instance, Krysten Ritter’s dark and pronounced features, combined with some of her past work, deem her fitting for the world of Tim Burton, and it’s surprising (at least to me) that the two haven’t worked together in the past. Then again, it could be because Burton consistently works with the same seven people in every film. 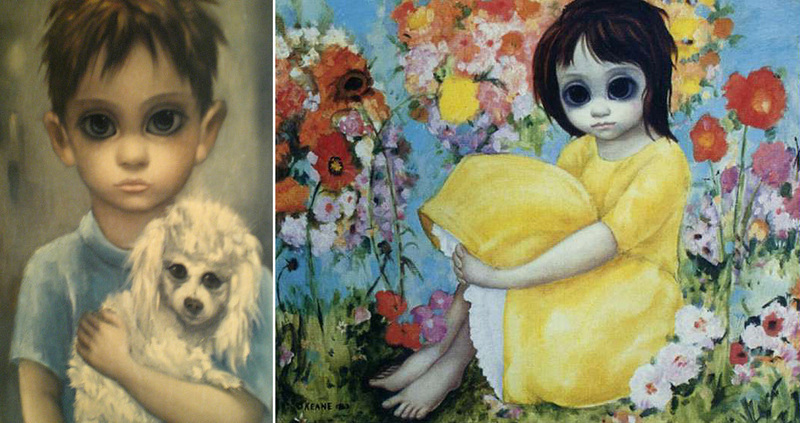 The titular Big Eyes refer to the kitschy paintings of Margaret (Adams) and Walter Keane (Waltz), and the impending implosion of their relationship centered on arguments over the true creator behind those creepy children and their optical enlargements. Ritter will star as DeeAnn, a “free-spirited confidante” to Margaret, and it sounds like she’ll be the one who incites Margaret’s lawsuits against her then ex-husband. Ritter is currently filming the Scot Armstrong-directed comedy Search Party and just might reappear in some way in the upcoming half-season of Breaking Bad as Jane, at least if IMDB can be believed. And it’s kind of hard to believe she hasn’t signed on for at least a cameo in the Veronica Mars movie yet.